Hey everybody – Don here with my annual manly blog post. Living in Kentucky and throughout the South over the last 15 years we have always known about tobacco sticks. They are readily available and usually cheap. I have seen stars and other projects made from them but had never made anything myself. Well a few weekends ago we found a few bundles on sale in an antique store for about $15 and I thought it was time to give it a try. Last year I made a Christmas tree from some old fence pickets and thought I could do the same this year out of tobacco sticks. 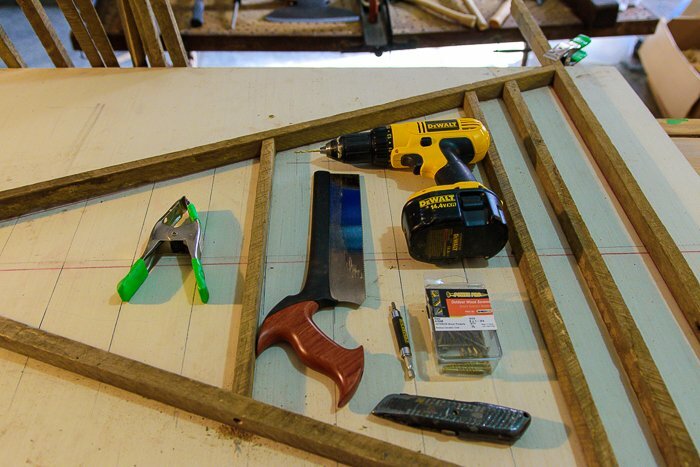 The best part about this project is there is no measuring needed. 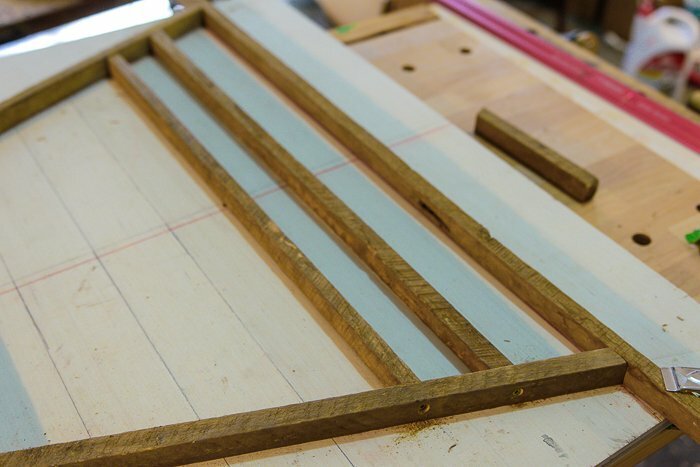 The tobacco sticks are too irregularly shaped to get a good fit with precise measurements and angles. What I found worked best was drawing a template on a piece of scrap plywood and then marking cuts directly on the tobacco sticks. 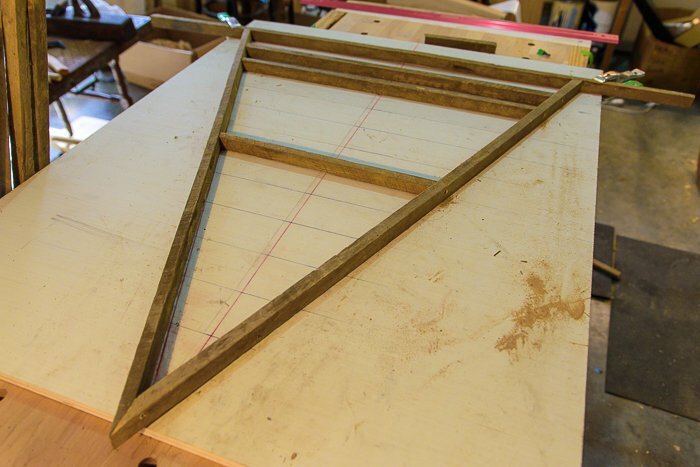 STEP 1 – LAYOUT I got my overall template shape by laying three sticks across each other in a triangle shape until the height and angles looked good. 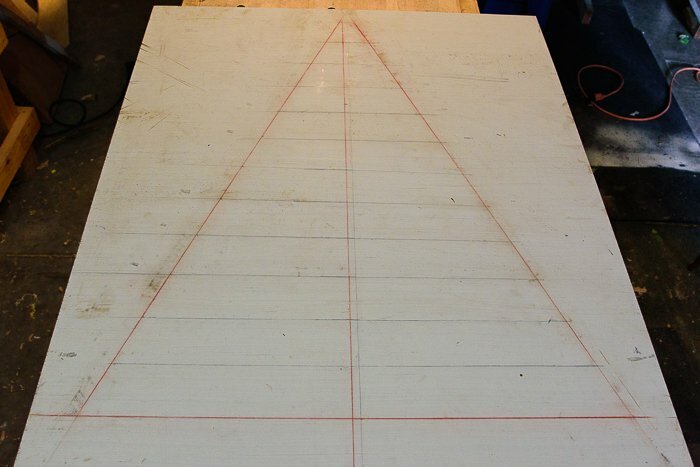 Then make a pencil mark at all three corners of the triangle directly on your template board/paper. 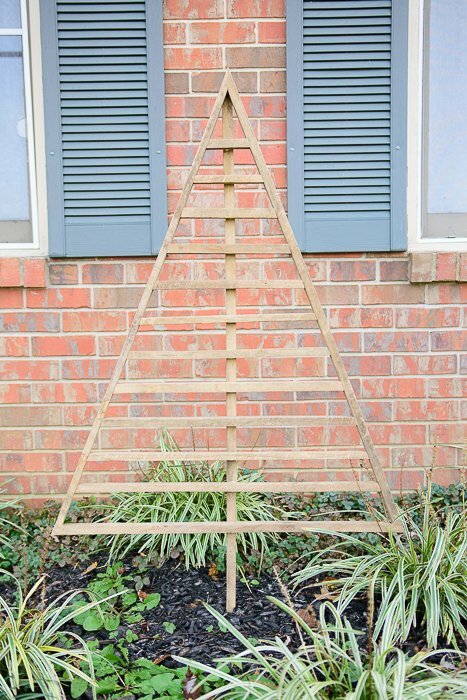 Remove the sticks and draw lines (or snap chalk lines) from all three corners to complete your tree’s shape. 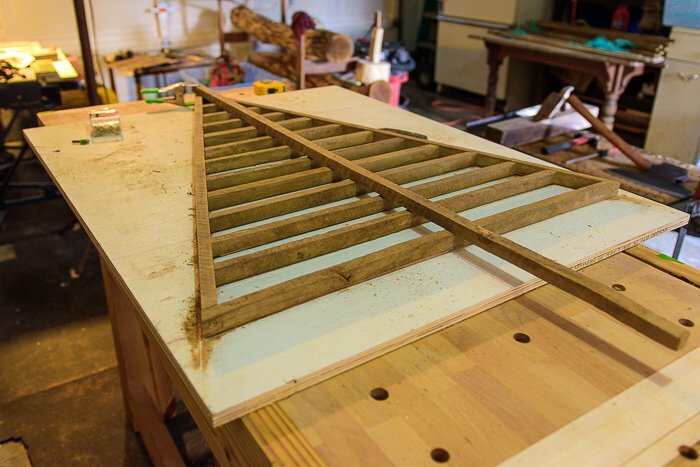 STEP 2 – BUILD THE BASE Build the base triangle for your tree. Clamp a stick in place along the bottom line of the tree. Place a stick along one leg of the tree from the apex to the base stick. Mark the cut at the bottom and the top of the stick. Cut the stick and clamp in place. Repeat with the other leg of the triangle. 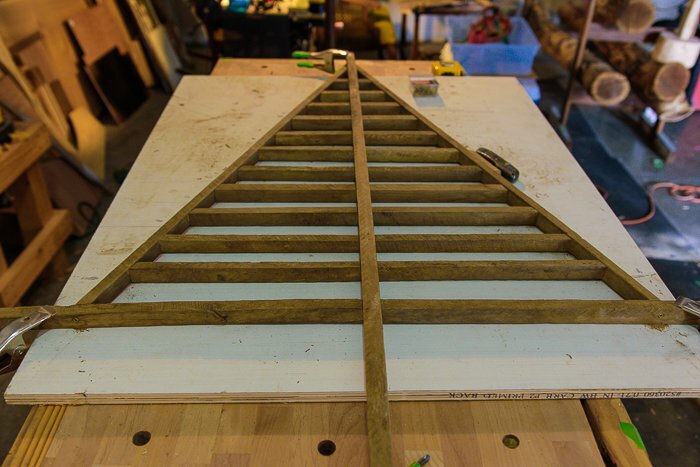 Drill pilot holes and drive screws to solidify the shape of the triangle. STEP 3 – BUILD THE INNER TREE Lay the other sticks across the triangle until you get a spacing that is pleasing to the eye. I spaced mine about 2.5″ apart. Again make marks on the template so you can locate them again. Pick up all the sticks except the one in the middle. Just as before, mark the cuts directly on the stick and then make the cut. Place the stick, drill pilot holes and drive the screws. Now repeat this process until all the sticks are in place. I worked from the ends in toward the middle and found I could get two cross pieces out of one stick. STEP 4 – ATTACH THE BACK STAKE Save your longest and straightest tobacco stick to use for the back support and the stake that goes in to the ground. Once more we are doing this by eye. 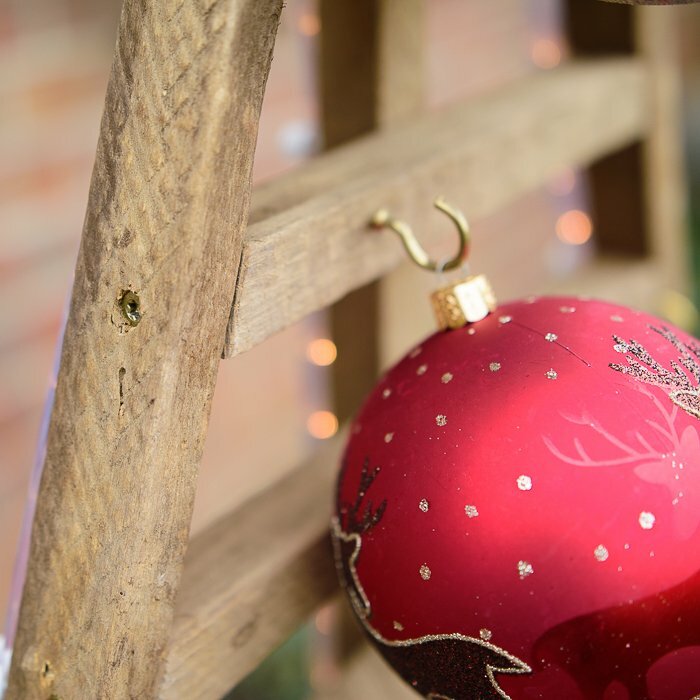 Place the stick and drill and drive screws through it into the back of the tree in a few places. 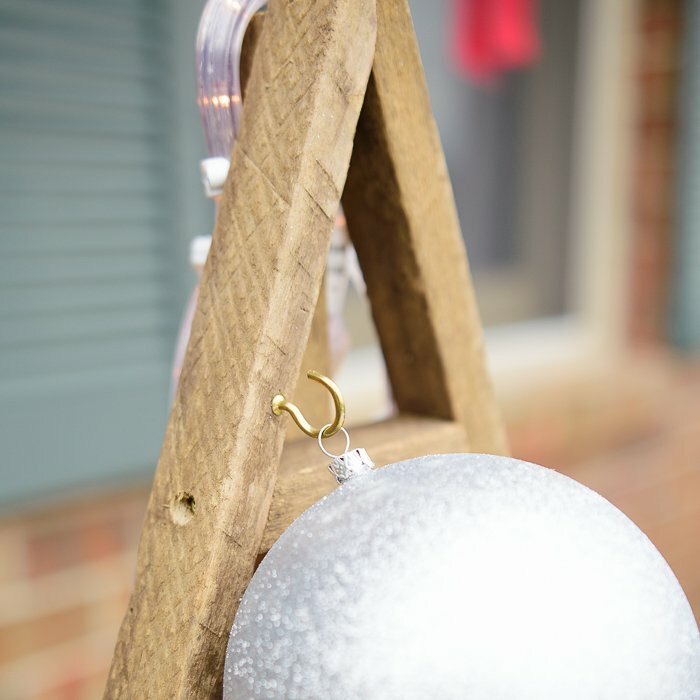 Your tree is now ready to decorate and put out in the yard. 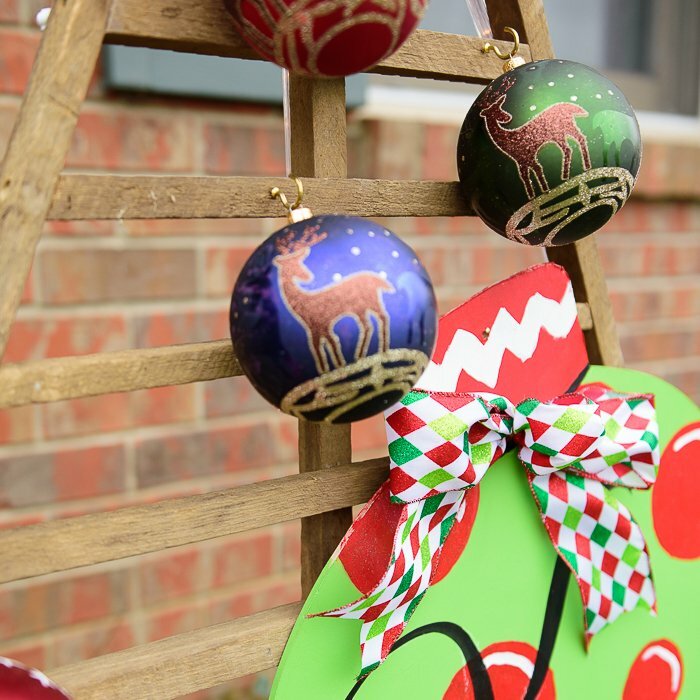 STEP 5 – DECORATE You can attach lights to the back with staples or wire nails. I also mounted ornaments to the front with a few brass cup hooks. 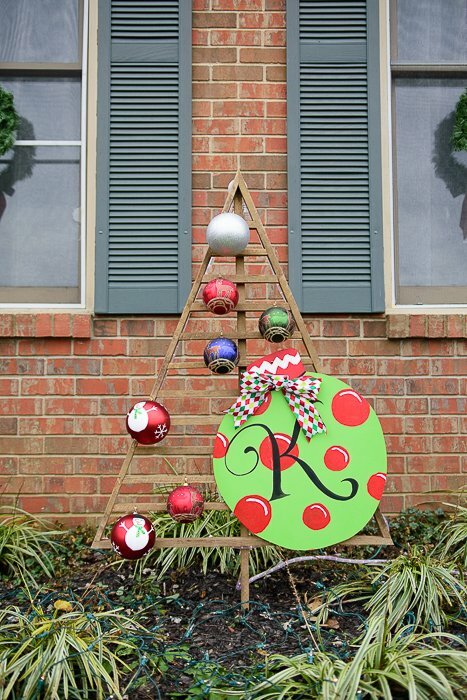 Place it out in your yard and enjoy as your neighbors envy your custom Christmas yard decoration. Thanks for your support of Beth (and me and the dogs) again this year. It has been a pleasure to meet so many of you during our travels and I hope 2017 will be a chance for us to meet even more of you. Merry Christmas! 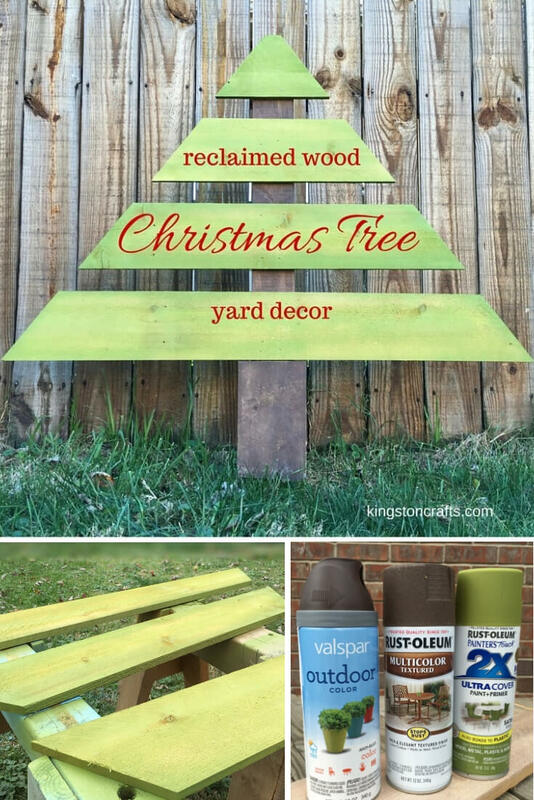 Looking for other reclaimed holiday projects? 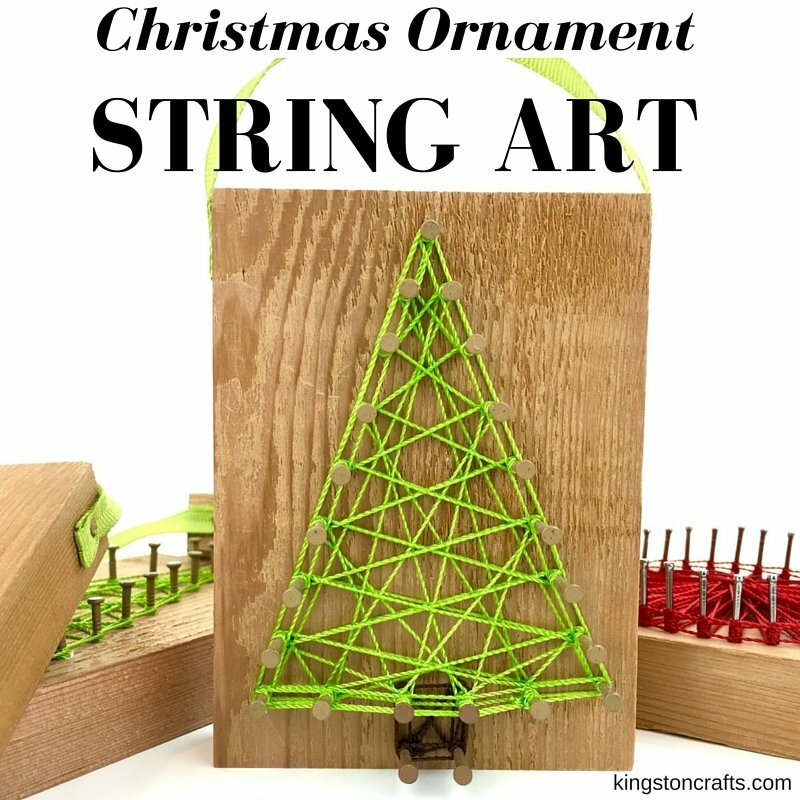 Check out our string art ornaments!